FILE PHOTO: Kremlin spokesman Dmitry Peskov waits before a meeting of Russian President Vladimir Putin with Philippine President Rodrigo Duterte at the Kremlin in Moscow, Russia, May 23, 2017. MOSCOW - Russia accused the West on Thursday of “whipping up hysteria” over large-scale military exercises currently underway in eastern Europe and denied charges that they were being conducted with a lack of transparency. The exercises, codenamed “Zapad”, or “West”, started on Thursday and will last until Sept. 20. They are being conducted on military ranges in Belarus, western Russia, Russia’s exclave of Kaliningrad and in the Baltic Sea. “It is a normal practice for any country to hold such exercises. 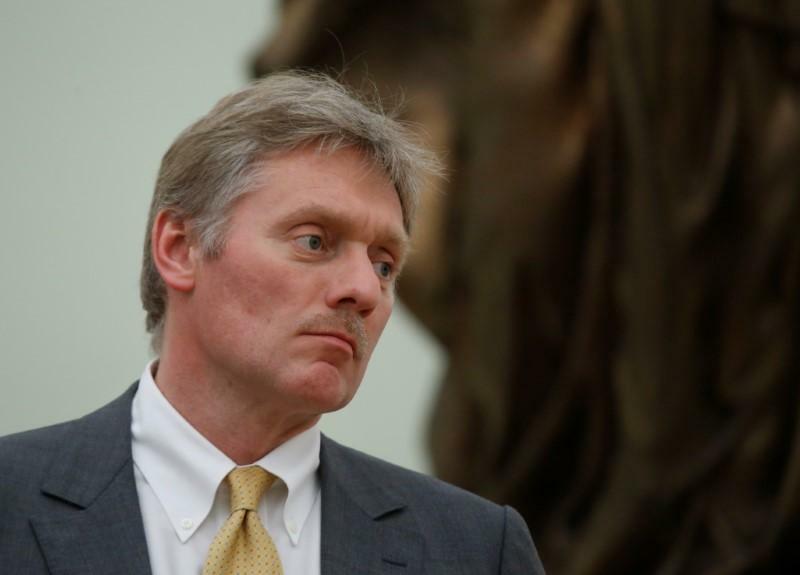 Everything is being held in line with international law,” Peskov said. NATO is closely watching the exercises and says they are larger than the 12,700 servicemen Moscow has publicized, actually numbering some 100,000 troops, and involve firing nuclear-capable ballistic missiles. Russia’s defense ministry reiterated on Thursday that the exercises, which will last until Sept. 20, are of a purely defensive nature and are not a threat to any third country or group of countries. But NATO officials say the drills will simulate a conflict with the U.S.-led alliance intended to show Russia’s ability to mass large numbers of troops at short notice in the event of a conflict. Amid allegations about Moscow’s aggressive ambitions from its post-communist neighbors, Russia’s defense ministry has said that it does not intend to use the drills as a springboard to attack Lithuania, Poland or Ukraine. Moscow says it is the West that threatens stability in eastern Europe, because NATO has put a 4,000-strong multinational force in the Baltics and Poland. Russian military analysts say the current exercises are a far cry from the “Zapad-1981” war games with the Soviet Union’s allies from the Warsaw Pact. Those involved more than 110,000 troops and their scenario included a lightning defeat of NATO forces in Europe. Russia’s defense ministry said the current drills involve some 7,200 troops from Belarus and 5,500 from Russia, up to 70 aircraft and helicopters, up to 680 units of military hardware, including 250 tanks, up to 200 artillery pieces, multiple rocket launchers and mortars, and up to 10 warships. Russia accused the West on Thursday of “whipping up hysteria” over large-scale military exercises currently underway in eastern Europe and denied charges that they were being conducted with a lack of transparency.